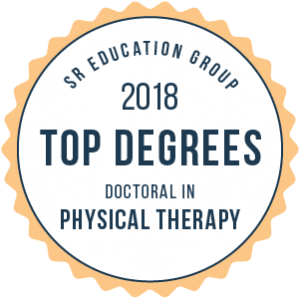 The Department of Physical Therapy at the University of Central Arkansas offers a PhD in Physical Therapy, Doctor of Physical Therapy (DPT), and an accredited Residency in Pediatric Physical Therapy Program. The UCA Department of Physical Therapy began graduating students in 1972 as the first PT Program in the state of Arkansas. As a member of the College of Health and Behavioral Sciences, the Department of Physical Therapy is chaired by Nancy B. Reese, PhD, PT. The Department of Physical Therapy web site provides resources for prospective students, clinical faculty, and physical therapy alumni. The UCA DPT Brochure 2018-2019 provides details regarding admission. An Open House in the Department of Physical Therapy is planned for Saturday, April 6. This event will be a come and go between 10:00 and 12:00 at the Physical Therapy Center. Prospective students are encouraged to attend. Dr. Nancy Reese, Professor and Chairperson of the Department of Physical Therapy, was informed this week by APTA President, Sharon Dunn, that she is a 2019 recipient of the Catherine Worthingham Fellow award. TThe Catherine Worthingham Fellows of the American Physical Therapy Association (FAPTA), the association’s highest membership category, serves as inspiration for all physical therapists to attain professional excellence. Dr. Reese is a member of the Neurology Section, Education Section, and Health Policy and Administration Sections of the APTA and past President of the Arkansas Chapter of the APTA. She currently serves on the Board of the Academic Council of American Physical Therapy Association (ACAPT) as Treasurer. Dr. Reese has been the Chairperson of the Department of Physical Therapy since 2004, a member of the faculty since 1986 and a member of the APTA since 1980. Dr. Reese will be honored at the APTA’s NEXT 2019 Conference and Exposition in Chicago, Illinois, June 12-15. The Department of Physical Therapy will host an Open House at the Physical Therapy Center on Saturday, April 6 from 10:00 AM to 12:00 PM. Guests are invited to drop-in for an opportunity to learn more about education opportunities in physical therapy at UCA. Informal meet and greet with faculty will be available as well as tours of the PT Center. UCA ranked 3rd in Nation for PT Again! Recent UCA commercial features 2013 DPT graduate, Robyn (Smith) Everson. Dr. Everson attended UCA for her undergraduate degree and played volleyball, in addition to earning her bachelor’s degree, she earned her DPT degree from UCA in 2013. After graduation, Robyn was selected for the UCA’s Pediatric Physical Therapy Residency Program which she completed in 2014. She is currently practicing in Little Rock and is married to Dr. Eric Everson, also a 2013 UCA DPT graduate. A recent UCA Bear Tales features DPT students participating in lab for their Neurological Rehabilitation in Pediatrics course presented in the Fall 2015 semester by Dr. Charlotte Yates, PhD, PT, PCS and Dr. Leah Lowe, PhD, PT. The course has historically included a lab experience allowing students to interact and experience hands-on time with infants, toddlers and preschoolers. Dr. Yates and second year students Matthew DeGroot and Nick Lensing are interviewed as well as Dr. Carly Hood from the DPT Class of 2015. Many PT alums and friends in the community graciously share their beautiful children with the class each year. View our UCA PT Slideshow to learn more about the UCA Physical Therapy program including pictures of the Physical Therapy Center, the Gross Anatomy and Neuroscience lab, DPT Students in lab, presenting research and attending community outings as well as pictures of the UCA campus. The mission of the UCA Department of Physical Therapy is to develop collaborative Physical Therapist practitioners, leaders and scholars. The UCA Department of Physical Therapy will be a national leader in advancing the health of society through education, research, service and clinical practice. Our core purpose is to advance and improve the profession and practice of physical therapy. The Doctor of Physical Therapy Program at the University of Central Arkansas is accredited by the Commission on Accreditation in Physical Therapy Education (CAPTE), 1111 North Fairfax Street, Alexandria, Virginia 22314; telephone: 703-706-3245; email:accreditation@apta.org; website:http://www.capteonline.org. Filing a complaint with CAPTE: If you have a question about the department’s accreditation status or wish to express a concern about accreditation, you are encouraged to contact CAPTE. If needing to contact the program/institution directly, please call (501) 450-3611 or email pt@uca.edu. 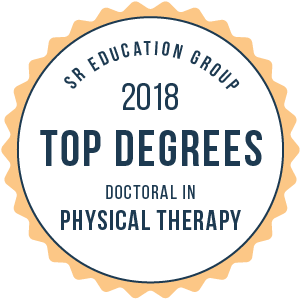 The Department of Physical Therapy is a member of the College of Health and Behavioral Sciences where programs in psychology, nursing, occupational therapy, speech-language pathology, dietetics, and athletic training are also provided. The Department is housed in the Physical Therapy Center, which includes over 40,000 square feet of teaching, lab and research space. The PT Center is located on Bruce Street across from the Farris Center between the Prince Center and Estes Stadium (see campus map below). The building emergency plan (PTC Emergency Procedures) is provided below. Contact the Department of Physical Therapy directly at (501) 450-3611 or email at pt@uca.edu. “A brief history of physical therapy at UCA” by UCA Archivist Jimmy Bryant appears in the October 29, 2012 edition of the Log Cabin Democrat. 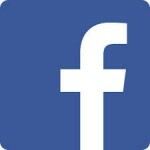 The article can be viewed at the following link.